Shoot the mewn! 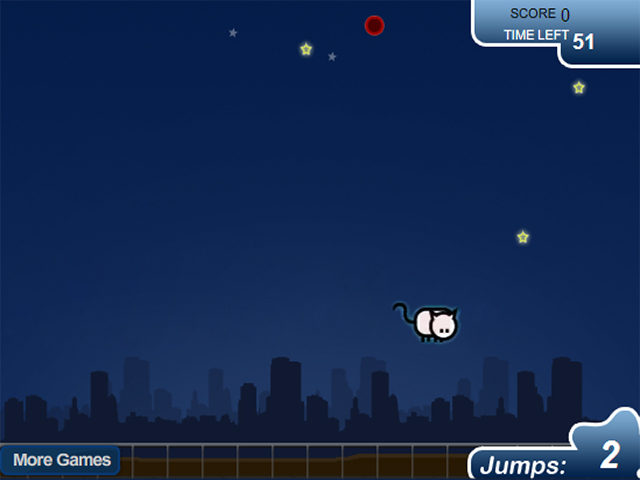 Reach for the ionosphere with the help of explosive stars in this high-flying, cat-powered arcade game!Revive the lost art of Catcrobactics!Shoot the mewn! 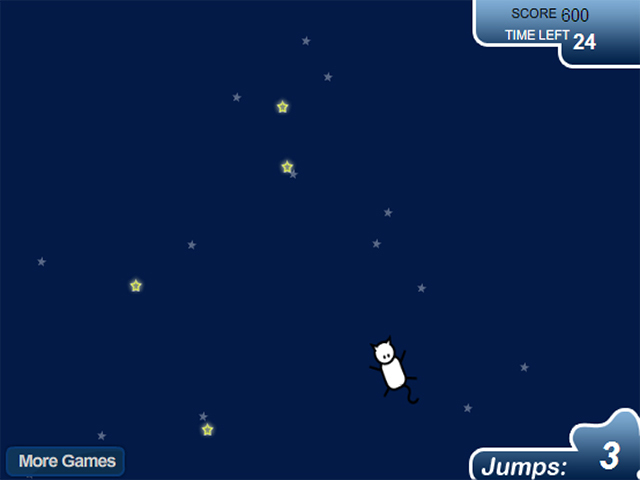 Reach for the ionosphere with the help of explosive stars in this high-flying, cat-powered arcade game! 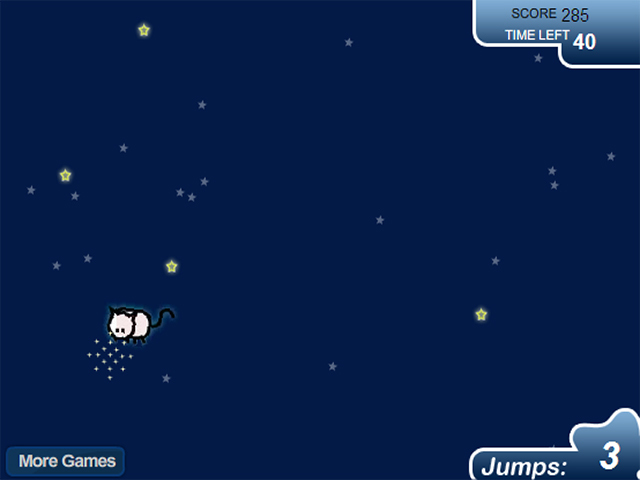 Use your powerful cat ups to save yourself from tyrannical gravity; but use them wisely, even cats get tired. And watch out for devious bumpers, which are all too happy to send you back to terra firma! 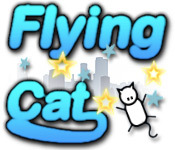 Look before and after you leap to avoid catastrophy in "Flying Cat!"